Equity release rates on the rise: what are the alternatives? More than half of lenders offering equity release deals through lifetime mortgages have increased rates, making it more expensive for homeowners trying to unlock cash. The average rate on a lifetime mortgage is now 5.10%, up from a record low of 5.03% in July earlier this year, according to financial data analysts Moneyfacts. A lifetime mortgage allows you to borrow against your home’s value – and the interest is often added to your debt, meaning you have no monthly repayments. But with interest rates on the rise, equity release may be a less attractive option for homeowners trying to release cash. We take a look at what’s happening to lifetime mortgage rates and the alternatives to consider. Retirement interest-only (RIO) mortgages and remortgaging are both popular alternatives to equity release. For a free advice on the suitability of these options, call Which? Mortgage Advisers on 0800 197 8461. How have lifetime equity release rates changed? Six out of eleven lenders have upped their rates over the past quarter, according to Moneyfacts, and some have done so more than once. The average lifetime mortgage recorded its lowest ever rate of 5.03% earlier this year in July, but it now stands at 5.10%. This upward trend is pronounced when looking at the average rate for lifetime mortgages, ranging up to 50% loan-to-value. On average, rates have risen from 4.67% to 4.83% over the past quarter. Moneyfacts suggest lenders are now starting to incorporate the base rate rise from 0.5% to 0.75% in August earlier this year. Despite the increases, average lifetime mortgage rates are still relatively cheap compared with five years ago, when the rate was 6.11% and there are far more lifetime mortgage products available to choose from. Equity release products allow you to unlock some of the cash in your home while allowing you to keep living in it. 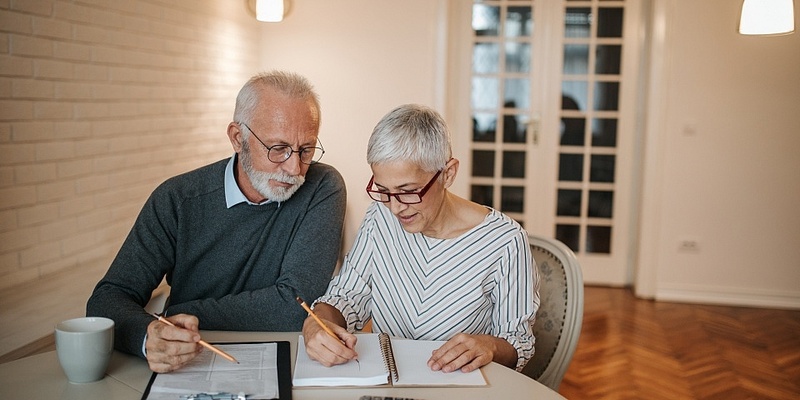 This could be an alternative to downsizing and could allow you to fund a pension shortfall or to help pay for later life care. There are two main types of schemes: home reversion and lifetime mortgages. A lifetime mortgage is the most common method. It allows you to borrow a proportion of your home’s value. The interest charged on this loan is rolled up along with what you borrow, meaning nothing has to be paid back until you die or sell your home. But keep in mind that your debt will grow over time, which could significantly erode the amount of equity you hold. If you want more flexibility, a drawdown lifetime mortgage allows you to take a smaller lump sum upfront and have the choice drawing funds if or when you need them. With home reversion schemes, you sell a share of your property to a firm at below market value. You’re able to live in your home, but once you die or go into care, the firm will claim its share when your home sells as repayment. Equity release is growing increasingly popular. The latest figures from the Equity Release Council show that homeowners unlocked a record-breaking £1.02bn from their properties in the past three months. This is up 25% between the third quarter of 2017 and the same period in 2018. However, while equity release is booming, it’s not right for everyone. A lifetime mortgage, for example, can cost more than three times what you initially borrowed over 20 years. This means that when you die or go into care, there will be significantly less equity left for your children to inherit. Before releasing cash from your home using equity release, it’s important to consider the pros and cons, and how the different products work. Find out more: Is equity release right for you? If you’re keen to unlock some of the value of your home, equity release isn’t your only option. You could get an unsecured personal loan, downsize to a smaller home or release some cash by remortgaging. There’s also a growing range of retirement interest-only (RIO) mortgages. This is a product that is a cross between an interest-only mortgage and equity release. It allows you to pay monthly interest for an indefinite term and the mortgage is repaid when you die or have to go into care. However, to use this option you’ll need to make sure you have a reliable income to afford the monthly repayments. If you’re considering equity release it’s worth talking to an independent financial adviser or calling the Which? Money Helpline. Which? Mortgage Advisers can also help you consider your other options such as retirement interest-only mortgages and remortgaging. Call Which? Mortgage Advisers on 0800 197 8461 or fill in the form below for a free call back. Unfortunately, Which? Mortgage Advisers won’t be able to advise on equity release schemes.